The vanishing spray is to be used in the 2014/15 English Premier League, it was announced earlier today by the league officials. The vanishing spray has been used in South America and the the Major League Soccer (MLS) for some time now and was also successfully implemented in the 2014 FIFA World Cup. 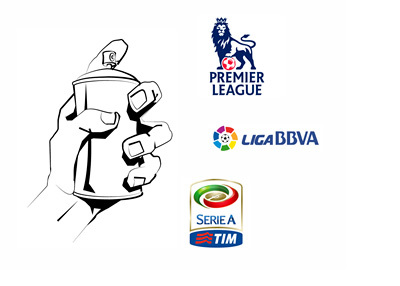 Italian Serie A and the Spanish La Liga also adopted the new 'technology' a few days ago. Spraying the line in front of players standing in a wall during free kicks has been proven as a simple, efficient and affordable method of preventing foul play. Referees also use the vanishing spray to mark the exact spots from which the free kicks are taken from. According to the science journal, LiveScience, the foam used in the vanishing spray is composed of butane, isobutane, propane gas and water. The vanishing spray is not shaving cream as some would have you believe :), and the new rule will probably result in more goals scored from free kicks.